Inspired by traditional Asian artwork, this magnificent sculpture sets the tone for quiet contemplation and deep relaxation. The design includes a full-length sculpture of the Buddha pausing to admire a glowing orb that water flows over. The round bottom of the fountain is embellished with a lotus leaf motif. A mid-sized water feature with a buddha standing over the glass spinning ball. The water feature has a terrazzo-like finish. There is a LED light below the spinning ball. 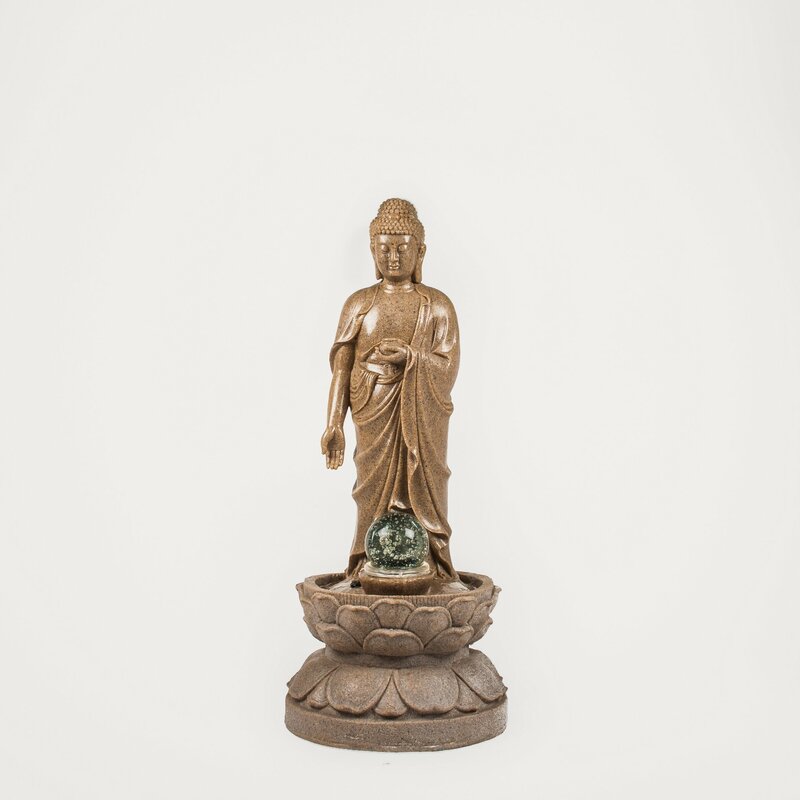 The Standing Buddha with Ball comes with the pump and LED light.